Whether it’s about the constant struggle of handling multiple orders at the same time, or the unending 2-hour traffic, you will need some time off for yourself. Sit back and relax as we give you some places that can serve as your paradise, even for a brief while. If you’re in the mood for a more peaceful drive, why not set Eco Saddle as your destination? It’s a quiet place in Caliraya, Laguna where you can relax and take a breather, a sweet escape from the busy streets of the city. Those in need of a nearby break away from home can visit their neighborhood library. Getting lost in books is one of the many ways where one can free their mind from stress and clutter. In this age when technology reigns, indulging in a good book is still a freeing experience. Unwind and chill with an analog camera in hand as you walk through the halls of this quaint museum. More popularly called MCAD by the students in the vicinity, the museum houses pieces from local artists that will immediately capture your interests. This is truly a place made for your de-stressing needs. An urban oasis where you are welcome to come as you are. There’s nothing like a day wherein you know you are well taken care of by everyone around you. Your skin can be a reflection of how you are feeling on the inside. If you feel like your complexion needs a little extra affection, here are some tips and tricks to keep you and your skin happy. Vitamin C- rich foods are not only good for the body but also for the face! These tangy, delicious fruits help keep your skin healthy and glowing. Fun tip: there are a lot of ways to use the fruit itself, too, a quick treatment for sudden skin dilemmas. A tasty snack and effective skinfood all in one. Also try letting your skin drink this Isntree C-Niacin Toning Ampoule for a more glowing and brighter complexion. Instead of just simply applying and dabbing our favorite hydrating moisturizer by Isntree on our skin, we like to massage it onto our face in circular motions. Doing this so can help boost blood flow and circulation up a notch. Tip: Move from chin up to your temples, applying light pressure as you go. Can’t get enough of sugar? We know it’s easier said than done, but reducing your sugar intake can lessen inflammation. Not only that, but doing so also helps with weight loss and stable energy levels. If you want to do good to your skin, try to control yourself when you’re walking towards that dessert table. Green tea is an all-around product that can help with your skin, your health, and your overall well being. It is known that drinking tea reduces stress, but you can also use the tea bag itself to reduce puffy eyes and brighten the face. We know, we know, this is the nth time we’ve said this, but having your regular facial is crucial in achieving and maintaining that youthful look. It’s not enough to have it just whenever you want to. Get an Ultimate Modern Facial every 2 weeks to promote better skin health, because your daily skincare products might not be able to deliver the same nourishment that this facial can, deep within the skin. It’s also important that you get back to your skin therapist so that they can track the progress and changes of your skin. Toner, Essence, Serum and Ampoule: What's the difference? With so many new skin care products being created today, it is almost difficult to distinguish one from the other. It’s tempting to just buy every variant as to not miss a step on your ever-changing regime. Worry not because we’re letting you in on the differences between these products to help you figure out which one you need the most. • Skin 1004 Madagascar Centella Asiatica PHA Toner - a mild exfoliating toner for all skin types! Essence is at the heart of every Korean’s skincare routine-it’s actually the secret (well, not anymore!) on achieving that Korean glow or ‘chok-chok’ skin. Due to its greatness, what started as a trend in Korea is now making its way West, you’ll see almost every Western brand with their own lines of essences. Essence feels like water, but is charged with active ingredients and extracts that moisturizes the skin from deep within. Think moisturizer, but more beyond the surface. It brings out the glow from within and makes your face visibly brighter. Use this after cleansing and toning for best results. 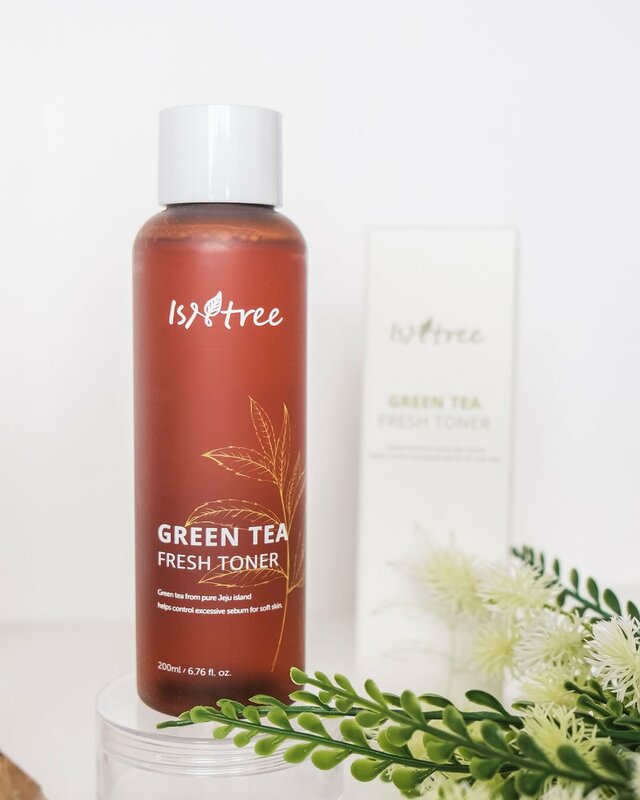 For beating this country’s humidity while also having something to protect your skin from all the pollution, we recommend you use Instree Green Tea Fresh Emulsion as it’s rich in antioxidants and contains supplements to strengthen your skin’s barrier. If you’re wondering if you can substitute it for a thick cream moisturizer, you most definitely can especially in the mornings when you only need a light touch. Serums are super packed with nutrients that address specific concerns and provide a variety of benefits, that’s why it’s best to consistently keep them in your skin routine. The ampoule, on the other hand, is more packed and concentrated than a serum. They are like a booster that comes in handy even on days that you need that immediate skin reviving. It is recommended to squeeze this step in between the toner and the essence for that extra glow. So when you need an extra kick to further target a skin concern, these supercharged products filled with active ingredients should be your friend. Two great addition in your routine would be the Isntree C-Niacin Toning Ampoule for combatting dullness and uneven skin texture, or the Ettang Galactomyces-Centella Asiatica Ampoule for turning that no blemishes-bright complexion dreams a reality. Tip: Always seal in all the products you’ve used with a moisturizer, especially one that is lightweight, hydrating and perfect for our year-round humid climate-just exactly like this Isntree Hyaluronic Acid Aqua Gel Cream. The key here is to put first whichever has the lightest consistency going to the thicker ones. And now that you know the difference, you’re ready to pick one and determine your HG. Find about it on our shop! Aging is a natural occurrence in life, and so does wanting to feel and look healthier, more youthful, and beautiful. We want to be the best that we can ever be. And there’s nothing to be ashamed of that. It is not vanity or selfishness to keep ourselves feeling happy. Give your future self many moments to be thankful for instead of tough questions: Did I do enough, love myself enough, was I happy? Or have I invested in myself properly? A youthful makeover your future self will thank you for. Ultherapy is the only FDA-approved non-invasive procedure (no knife, no needles!) that uses micro-focused ultrasound energy to lift and tighten sagging skin. It bridges the gap between dermal fillers and a surgical facelift as it achieves lifting results without having to cut or disrupt the skin surface. It does this by stimulating the formation of new collagen deep below the skin surface- the part which laser and radiofrequency treatments cannot reach. This is like a workout for your face, only instead of muscle, it develops more and better collagen which is known as “neocollagenesis”. Additionally, unlike other procedures, it incorporates ultrasound imaging giving clinicians a visualization of the targeted tissue to provide an unparalleled treatment precision while also avoiding bone, blood vessels, etc. Anyone from mid 20s to late 70s can receive an Ultherapy treatment, although it is not determined by age, but rather by skin laxity. As we age, we begin to lose collagen and elastin resulting in loose or sagging skin. This is due to factors such as genetics, diet, lifestyle, sun exposure, stress, environmental toxins, etc, but no matter what your age is, there is Ultherapy for you. It’s perfect for everyone wanting to attain a youthful look with rejuvenated eyes, lifted brows, defined chin & neck, sculpted cheeks, and contoured jaws. Ultherapy is powerful enough to lift and contour sagging skin in just one session and in just this one session, the lifting and tightening results will last up to a year. The results may vary from person to person as it depends on your own collage production. But many experience immediate lifting following the treatment, initial results in just 70 days, and the ultimate lifting and tightening results during the 2-3 months period after the procedure. Future touch-ups may also be needed especially for ages 50-70 years as they have a slower collagen building process. Ultherapy is considered to be a “lunchtime procedure” as it can be done in 30-90 minutes. After the procedure, you can resume your normal activities without having to follow any post-treatment restrictions. You can continue with your daily skincare regimen and apply make-up. Imagine that, it takes up only about 30 to 90 minutes in your 24 hrs of a day, but the result lasts up to a year. This is like a quick insurance policy for tomorrow’s happiness. At Simply Skin, we offer Ultherapy per area, so you won’t have to spend on the unnecessary. If you’ve been worrying about droopy brows, crow’s feet, frown lines, turkey gobbler or neck, saggy cheeks, or neck folds, then we suggest you choose from our variety of Ultherapy area treatments: Browlift, Eyelift, Cheek Lift, Under the Chin Lift, Lower Neck Lift, and Full Face Lift. Life is a journey, and with age comes the wisdom and appreciation of this journey. Let us in on your journey, and together lets celebrate growing old (plus, looking young) together. Feel good from skin to within, regardless of your age. What you do for yourself today will be what your future self will thank you for.